Conference Championship Sunday featured the #1 seeds from both the AFC and NFC showing exactly how they got to where they are now. 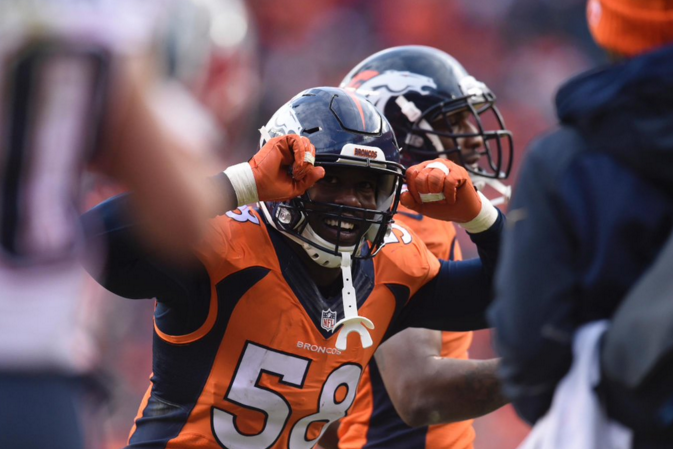 The Broncos defense beat the crap of Tom Brady, hitting him more than any other quarterback was all season, and their quarterback did enough to pull off the win. While the Panthers were also stellar on defense, their offense continued to shred another opposing top defense. Cam Newton became the 3rd quarterback to rush for 2 touchdowns and throw 2 as well in the playoffs (after Jay Cutler and Colin Kaepernick). For the next two weeks, we’re going to wait way too long for what can be very good game…or an absolute blowout (I believe it will be the former). What you can expect is a plethora of storylines because both these teams aren’t lacking at all for them. You may get a new one every 12 hours until kickoff. Here are ALL the storylines I could think of so far. Cam Newton has fun. 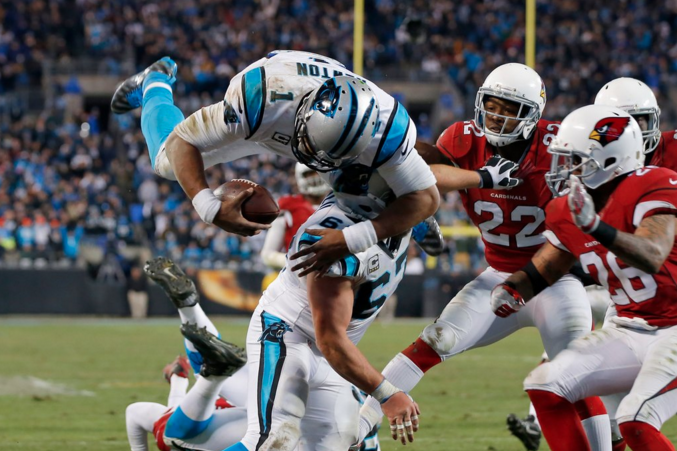 After yesterday’s 49-15 decimation of the Arizona Cardinals, Newton had compiled 50 total touchdowns for 2015-16 (regular season and post season combined). Newton has a patented pointing mechanic on first downs, dances after touchdowns, and hands the ball to a kid in the stands when he’s done. You may not like it, but you’re going to have to get used to it. The league has become his video game and everyone else looks like they’re on “Easy Mode” for him. Newton came into the league as a Heisman Trophy winner with a bad rap. He was arrested at Florida for stealing a laptop. His time at Auburn was scrutinized due to an investigation into his recruitment, which the NCAA came away with nothing. 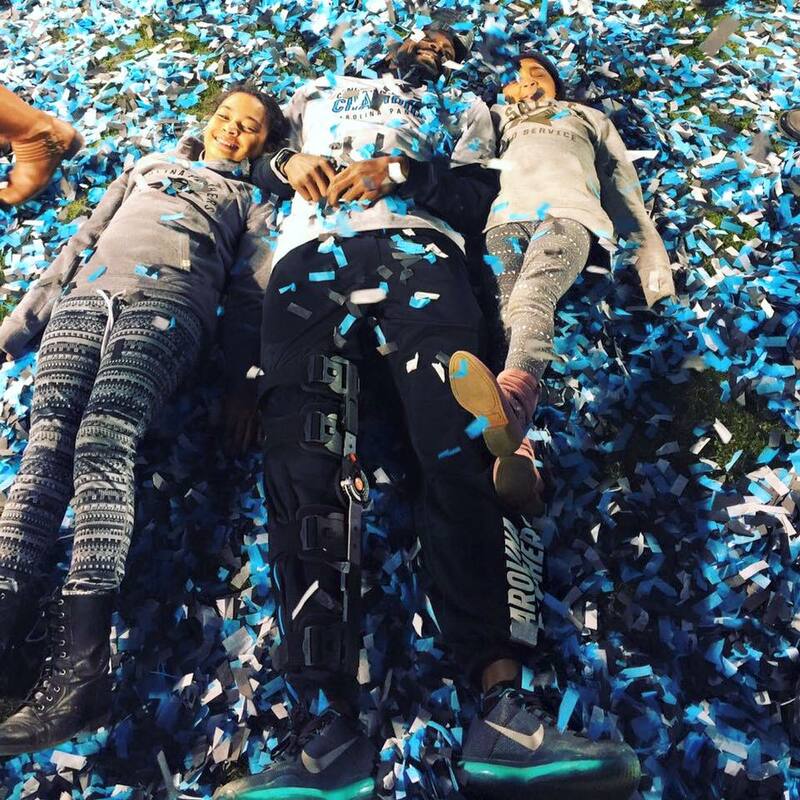 He was still drafted #1 overall and now has a chance to win a Super Bowl after 5 seasons, very likely with an MVP trophy on his mantle as well. What’s scary is that he’s done it without his #1 receiver, Kelvin Benjamin, all season. Football fans without a stick up their asses are loving it. Others will choose to be miserable, and you’ll hear plenty from them for the next 2 weeks. Am I only one who thinks handing ball to kids feels like a show for TV? I'm sure I'm about to get bombarded w/ a charity angle I don't know. How many dances does Cam Newton get per touchdown? That was 3. Some people just can’t have nice things, and that’s fine. Newton fans, on the other hand, can keep enjoying the best player in the league right now. In his last 10 games, Newton has scored 31 touchdowns (24 passing, 7 rushing). Who else from Newton’s “generation” comes even close to his level of play? Maybe Russell Wilson, but that’s it. Of the 4 quarterbacks facing off on Championship Sunday, Peyton Manning had the most on the line in terms of legacy. A win would help change his narrative that he’s just the best “regular season” quarterback. Now he’s won more games against 4-time champion Tom Brady than lost (3-2), and could join an elite group of only 11 quarterbacks with multiple Super Bowl rings. While the Broncos didn’t necessarily win because of Manning (we’ll get to that in a minute), they weren’t going to lose because of him either. 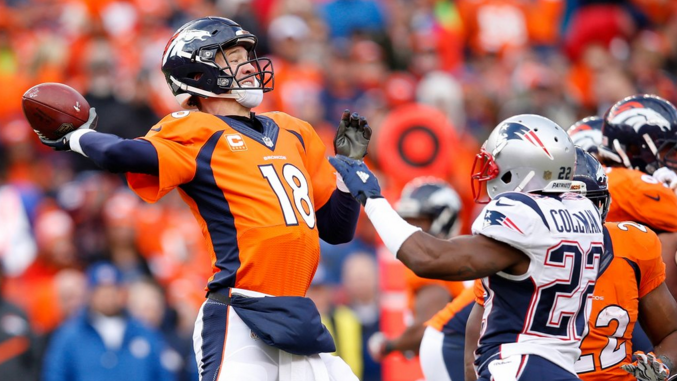 When the running game couldn’t get going, Manning made key 3rd down conversions with both his arm and even his legs. When Peyton Manning is successfully running boot plays on your defense, you might not deserve to go to the Super Bowl. In his 4th trip, Manning can do something that the president of the Denver Broncos, John Elway, accomplished before retiring…go out on top. Super Bowl 50 is going to feature the league’s 2 best defenses who clearly proved that on Championship Sunday. The Broncos halted the #1 passing team in the NFL (New England) and the Panthers did the same with the #2 passing team (Arizona). As mentioned earlier, the Broncos defense just manhandled Tom Brady and Von Miller led the way with 2.5 sacks and an interception. Miller’s presence was the certainly felt but so Derek Wolfe and DeMarcus Ware’s, only allowing Brady to finish 7/23 for 73 yards and a passer rating of 37.0 when pressured. The most impressive part of the Broncos defense dominating a fully healthy Patriots offense was that they were able to do so blitzing Brady a season low 17.2% of the time. Throwing to Rob Growkowski against the Broncos, Brady was 8/15 for 144 and 1 touchdown. Throwing to everyone else, he was 19/41, 166 yards and 0 TDs. 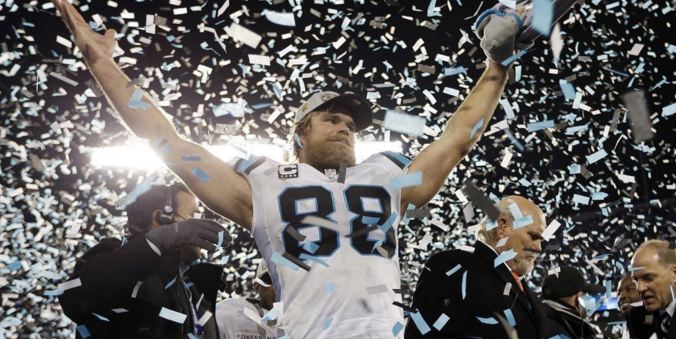 Heads up, Greg Olsen. The Panthers ranked 2nd in defensive efficiency in 2015 (according to ESPN), just behind Denver. While the Broncos pressure the quarterback like crazy, the Panthers defense is racking up points off turnovers. On top Newton’s insane scoring rate, the Panthers have added 9.5 points per game to their net margin of victory as a result of takeaways, 1.7 points more than anyone else. They forced 7 turnovers, 6 from Carson Palmer, on Sunday. 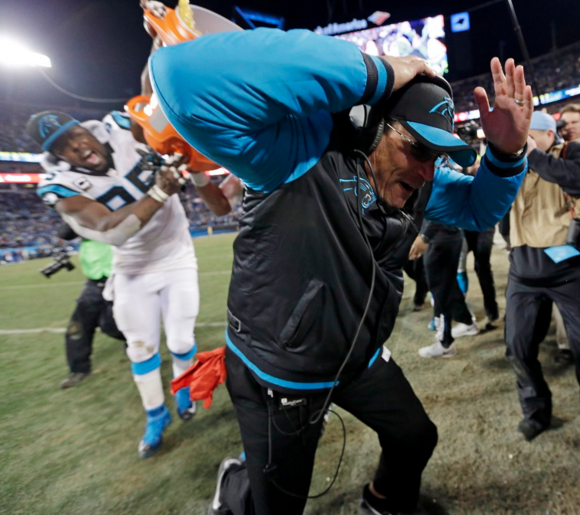 Both Ron Rivera and Gary Kubiak played on teams that went to the Super Bowl. Rivera won as a linebacker with the 1985 Chicago Bears. Kubiak went to 3, all as backup quarterback to John Elway, and lost them too. Both Rivera and Kubiak went to the Super Bowl as coordinators. Rivera was the Bears’ defensive coordinator in 2006-07, losing to Peyton Manning’s Colts. Kubiak won three after his playing career, once as an assistant for the 49ers (1994) and twice more as Broncos offensive coordinator (1997 & 1998). Now both Rivera and Kubiak will be standing on opposite sidelines of the sport’s biggest stage. They were also both successors for current Bears head coach John Fox. Actually, good new Bears fans! 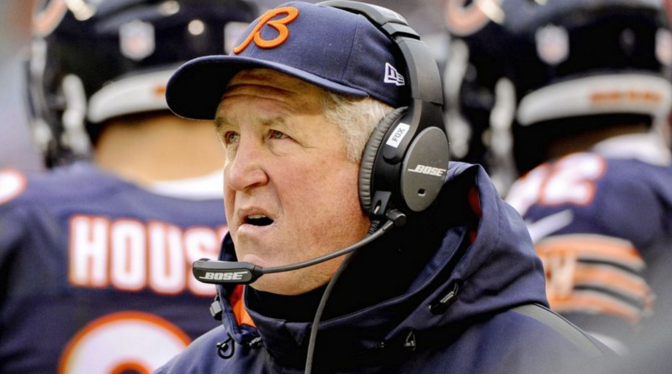 John Fox went to the Super Bowl in each of his second seasons with the Panthers and Broncos. He didn’t win, but going is a nice improvement. 1. 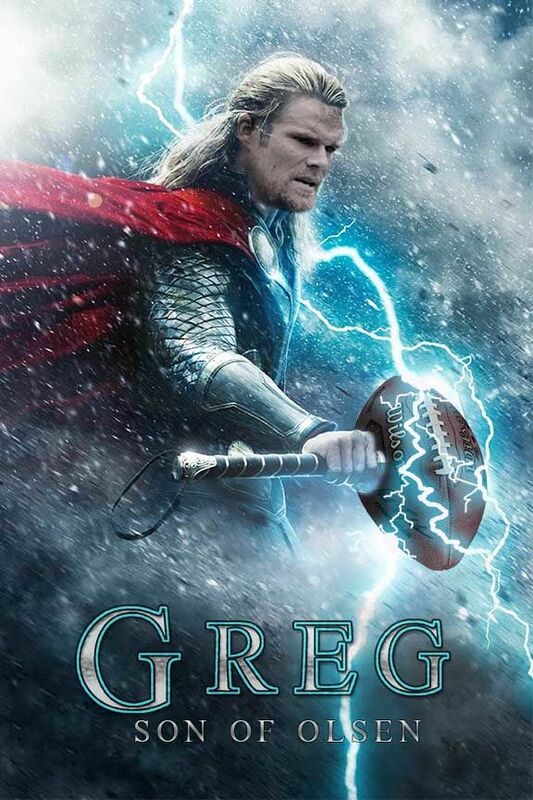 Greg, Son of Olsen. While Miller, Ware and Wolfe get all the sack glory, defensive ends Malik Jackson and Antonio Smith and nose tackle Sylvester Williams are teeing them up and destroying opposing running backs. I love that Ted Ginn Jr. went from being the guy who drops everything to a 10 touchdown WR. A lot of that may be thanks to his quarterback, but somebody has to take the top off defenses and burn opposing safeties like Ginn has. Something I may have left out of Peyton Manning’s storyline was how Emmanuel Sanders made some of the BIGGEST plays on 3rd down for his quarterback. While Damaryius Thomas was off and on during the season, Sanders had 4 games of 8+ receptions. With Manning throwing more underneath and Josh Norman covering Thomas, Sanders will be a huge key against the Broncos nickel coverage. Stay Tuned For More Super Bowl 50 Coverage on MichaelPiff.com. There will be more on the Halftime Show, Commercials, Media Day, and the annual “Everything But Football” piece as well. Follow along on Facebook and Twitter.